Stingers power capacitors provide an unprecedented increase in system performance by acting as a high energy power reservoir. 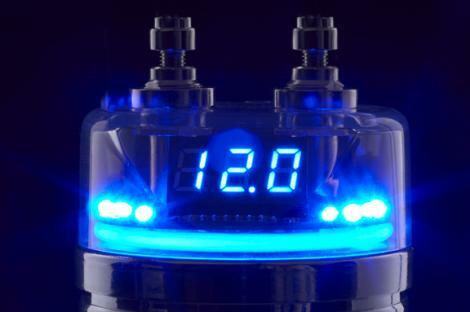 This furnishes your amplifiers with clean transient power whenever they hit peak output during low bass passages or high output musical transients. 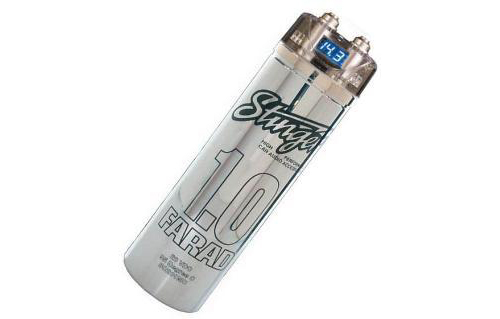 HPM capacitors are designed to compliment Stinger's HPM Series of accessories. Their awesome brushed aluminum or chrome plated finish and platinum plated terminals add a high performance look and feel to any installation. The SPT122 features Stinger's SmartCharge digital monitor top for added safety and convenience.